For the first time, Caribou’s gateway to science, the Nylander Museum of Natural History, has kicked off a celebration of Earth Day by teaching its patrons the proper way to care for the planet by reducing, reusing, and recycling. The museum has scheduled a week of activities for families curious about recycling leading up to the April 22 holiday. 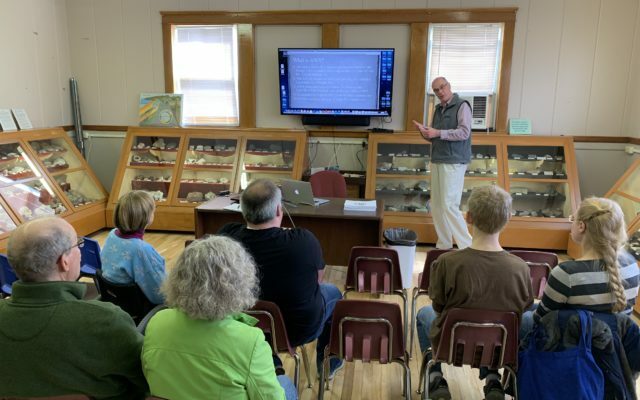 On Saturday, April 13, the director of Aroostook Waste Solutions, Mark Draper, gave a keynote address at the museum on the recycling programs that AWS offers Caribou residents and surrounding communities. Draper touched on why recycling is important, the financial aspects of recycling, and how it must be financially beneficial for the program to work. “It’s a multipart process: the public has a role, we as an entity have a roll, and the key aspect is that somebody needs to take that material and make something new out of it,” he said. Both Draper and Wolfington offered tips for recycling beginners. “Maybe start with newspaper. There’s no rinsing. It’s an easy start to making that conscious effort to not put it in the trash,” Draper said. “Some of the things families can start thinking about is turning off the lights if they’re looking for an easy way to conserve,” Wolfington said. Anyone interested in recycling can visit the Nylander Museum and participate in Earth Day activities or visit www.aroostookwaste.com for information on how to start recycling.